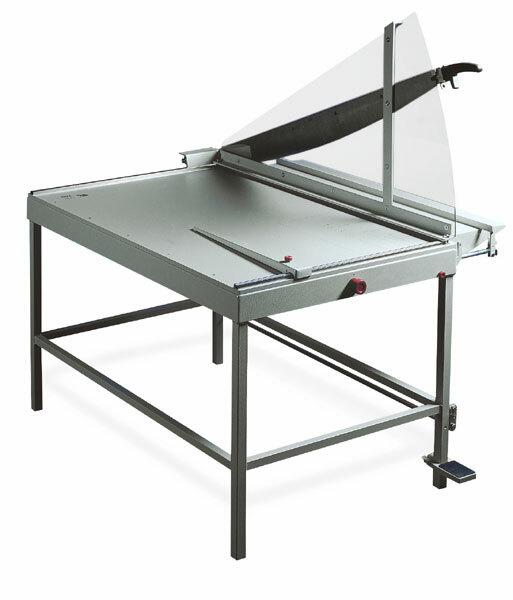 For cutting 20-40 sheets in one operation. Also cuts cardboard, fibreboard, foil, vinyl, felt, rubber, fabric, leather, linoleum, thin plywood, even thin metal. Safe, accurate. Built of welded steel. Table and Floor models.